Suction of air, fumes, gas, powders, sawing, dust. Aerating and conditioning plants, wood working plants, Can also be used for HVAC DUCT SYSTEMS. VERY FLEXIBLE AND EASY TO USE. 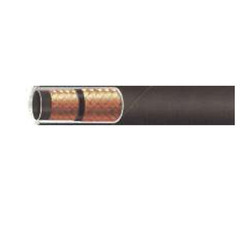 Being a leader in the industry, we are engaged in offering a qualitative range of AC Hose to our clients. Core: Synthetic Rubber resistant to mineral oils, esters, pag oils. Automotive Air-Conditioning System Recommended Fluids: All Freon gases normally used in the automotive industry (R134a, R12, etc) with Pag, ester and mineral lubricant oils. We are offering Air Conditioning Hose to our clients. Auto Air conditioning Hose for Cars, Trucks and Buses. 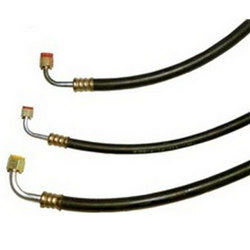 To furnish the varying desires of our customers, we are immersed in offering a world class consignment of Car AC Hose. - Automotive Air- Conditioning System Recommended Fluids: All Freon gases normally used in the automotive industry (R1340, R12, etc) with Pag, ester and mineral lubricant oils.